FORT WORTH -- Some people consider sewing a lost art. 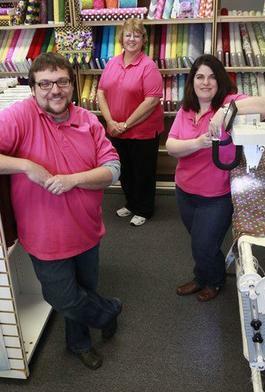 But the owners of a newly opened sewing store say the craft is making a comeback and not just because of a rugged economy. The credit goes to the do-it-yourself crowd. All ages, especially the younger crowds, are flocking to fabric stores after watching television shows such as Project Runway and getting ideas from content sharing services such as Pinterest. Sewers are also buying and selling home-made items on Etsy, an online handmade marketplace. 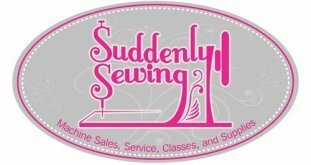 Suddenly Sewing, recently opened to service this growing crowd in the Alliance area. The owners, Cathy Musson, Michael Kralicek and his wife Abigail Kralicek, recognized the need for a store in the area and using Michael Kralicek's background in the industry, opened the store Nov. 9. Michael Kralicek managed fabric stores for 15 years and spent the next six years as manager of a sewing machine dealer.He said the decision to "branch off" on his own was a good one and business at the store during the first month has been much better than expected. "They've been coming in looking for classes and fabric ... and several machines have gone out the door," he said. Kralicek said new customers are referred mainly by other sewers. "We've done very little advertising, mostly word of mouth," he said. "We've got quilt guilds in the area, people just start talking." Suddenly Sewing is more than just a place to buy fabric or a sewing machine. The store offers classes, repairs and services for machines and provides a place for sewers to gather, socialize and learn new techniques. "We have gotten a lot of people who have inherited mom's or grandma's machine but don't know what to do with it," Musson said. Musson said the store offers a free "meet your machine" class for anyone who needs help using their machine. "Even if they bought a machine somewhere else we will support them here," she said. "We want to be their source of information, their experts." Other classes average between $15 and $45 for sessions such as an introduction to sewing or a project class. The store also has classes specifically designed for children. "We provide them with a supply list, most supplies are available from our store," Musson said. "For some classes we will provide kits." Lynne Womack was one of several students in the store Dec. 11 for a class to learn how to use her new machine, which she bought at the store. She said she was thrilled to find the store, which is just a few blocks from her house. hen researching machines, Womack said owner Michael Kralicek was very patient, not pushy and took time to explain the machines and answer questions. 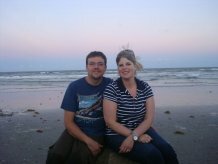 "You would think he had nothing better to do, he took forever with me," Womack said. 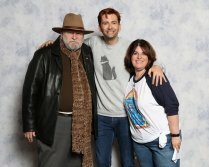 "How cool, to be able to go in and meet someone like that, who really explains the machines ... I was sold." Womack said now that she is retired, she has time to work on sewing projects and is looking forward to taking classes at the store. "I've been working 40 years, now it's time to do my own thing," she said. "My goal is to make 14 quilts. I've made two, I just have 12 more to go." Customer Phyllis Kuykendall said she also was thrilled to find Suddenly Sewing in her neighborhood. Kuykendall said today's machines are so much better than the ones from the past and have many more features, making sewing a little easier. "It's just so therapeutic," she said. Information about store including a schedule of classes can be found at www.suddenlysewing.com. We're dedicated in providing you with the service you need to make your sewing experience all that it should be. When you purchase a Husqvarna-Viking or Pfaff machine from us you receive support from time of your original purchase and beyond including New Owner classes on the use of your machine as well as offering on-going project classes. Our goal is to provide you with everything you need to make your sewing, quilting or embroidery projects enjoyable and a reflection of you. Our teaching staff keeps current on what is happening in the market place, along with new patterns, techniques and tools. Our sales department staff has a comprehensive knowledge of our products and they are trained to help you find the best machine for your needs. Our experienced professionals use the latest technologies. Each and every associate has extensive training and truly loves this industry. We love nothing more than helping you realize how great your sewing projects can be.